Hello friends! Christmas is around the corner. So how are you planning to celebrate it? We’re sure you must have downloaded all our Christmas coloring pages to fill in during the Holidays. And if that’s not enough, we’ve got something even more exciting for you. 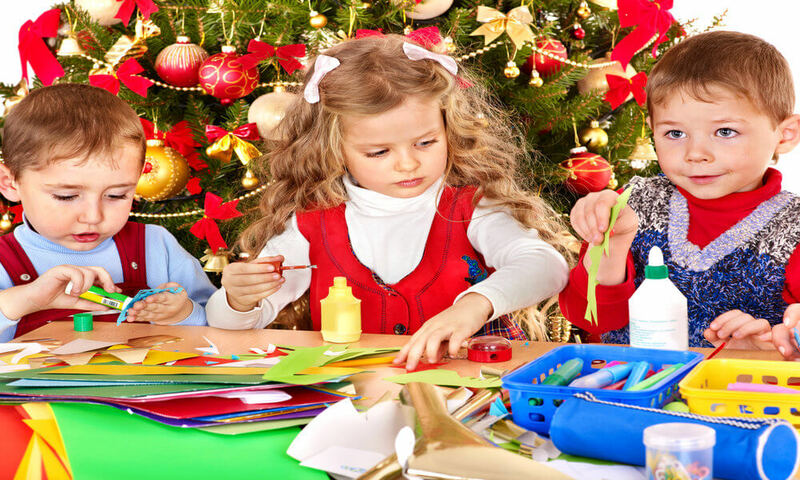 Below we have compiled a list of Christmas craft ideas for kids, which you can refer. 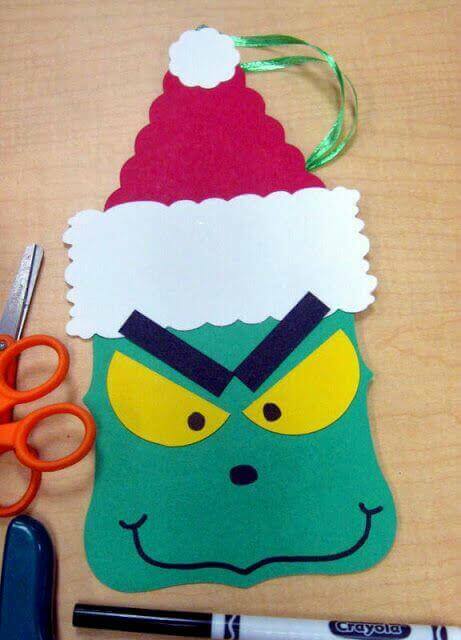 So without wasting any more time, check out Christmas crafts for kids to make below. For a cool Christmas gift like this, you must start collecting the ice cream sticks. Collect them and wash them to clean off the sticky sweetness. You can color them into your favorite colors and even make them shine more by adding sparkles. Make the faces of your families on the sticks, as many as you have. Add your friends and relatives and cousins, everybody. Then stick the home strongly together with glue. Voila, your gift is ready. Santa uses reindeers to carry him and the sled full of the gifts for the children all over the world. 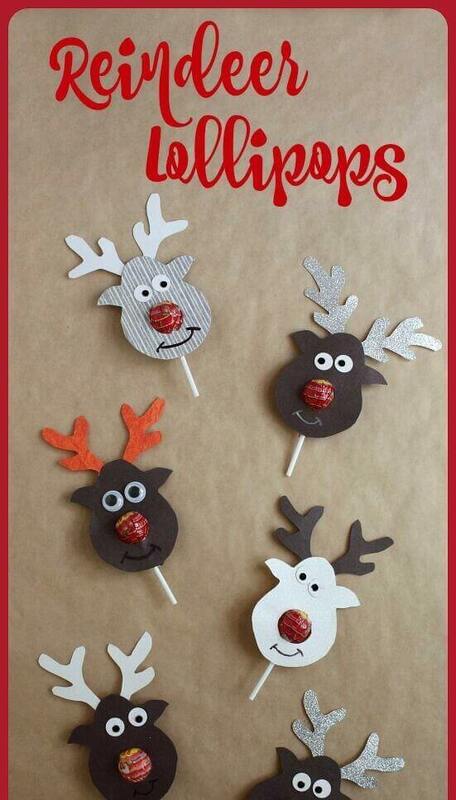 You can make these cute little reindeers easily by just using colors. Paint your thumb with the color you want the reindeer to be and leave an impression on a piece of paper. Then take out your best red sketch and draw a cute little nose for him to breathe. Oh, and don’t forget to add little eyes and horns. You might add a bowtie or a headgear as well if you like. 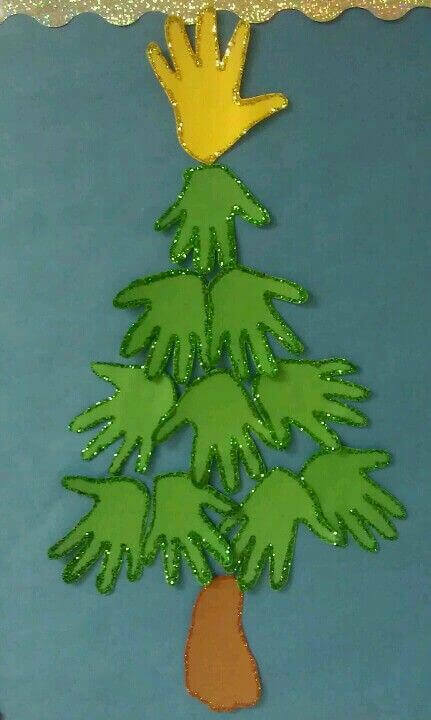 A small Christmas tree made up of hands and feet- amazing isn’t it? You can make this easily using your own hand and footprints. 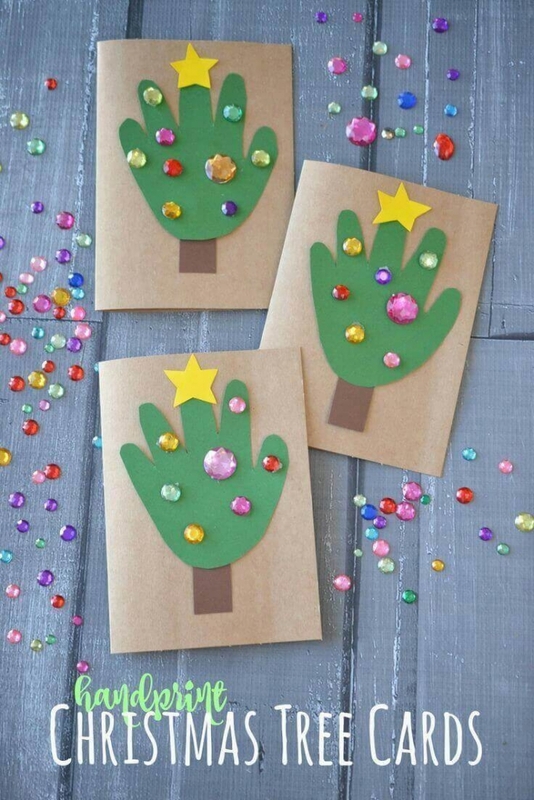 For the green leafy part of the tree, you can color your hands and print them on papers. Have it cut into shapes by someone and decorate the edges with glitter. Do the same for the star and trunk part of the tree, but in different colors. 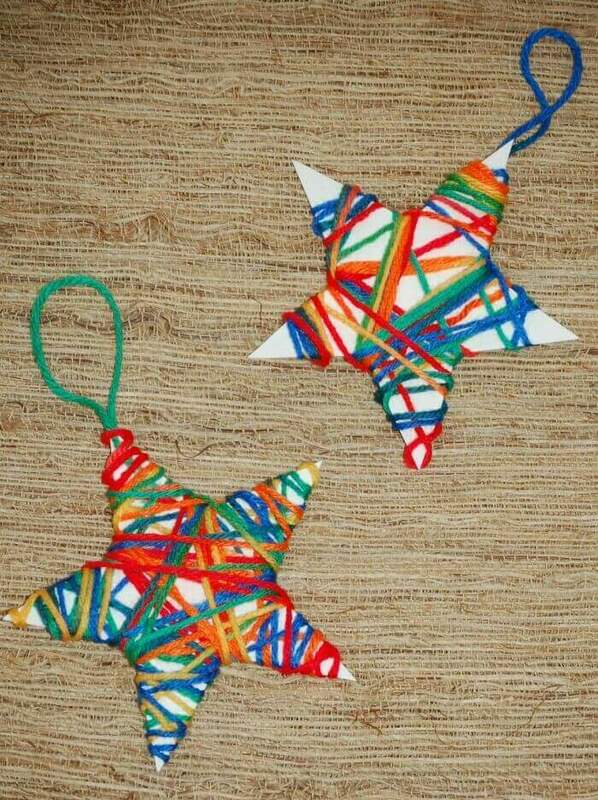 Now as you have the leaves, trunk and a star, stick them together with glue. Tada, your Christmas tree is ready. The wall hangings you see during Christmas in the shops are beautiful and cool, aren’t they? Well, you can make some for yourself at home too, like this one with a reindeer for Christmas! All you need is small pieces of cardboards, sketch pens, thread and woolen pompoms. Colour the cardboard with your favorite color and draw an egg on it with a sketch pen. Also, draw his tiny eyes and horns. 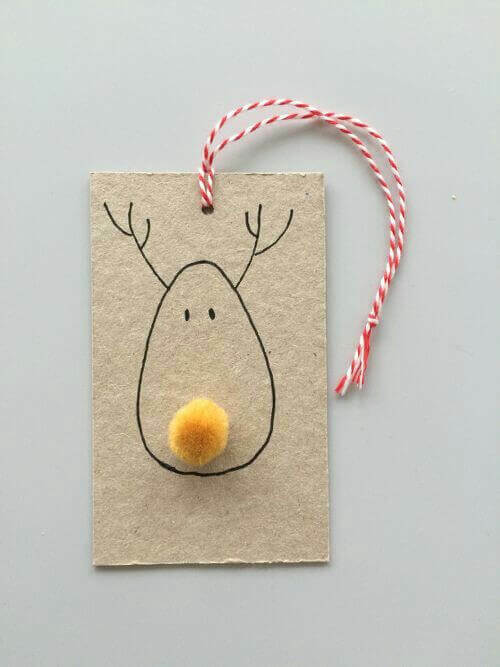 Now you just have to add a colorful nose and a string to hang the decoration with. For this Christmas, you don’t buy presents for your loved ones. Make unique handmade presents for everyone you love. All you need is their photographs, ice cream sticks, papers, colors, glue, thread and lots of love and creativity. 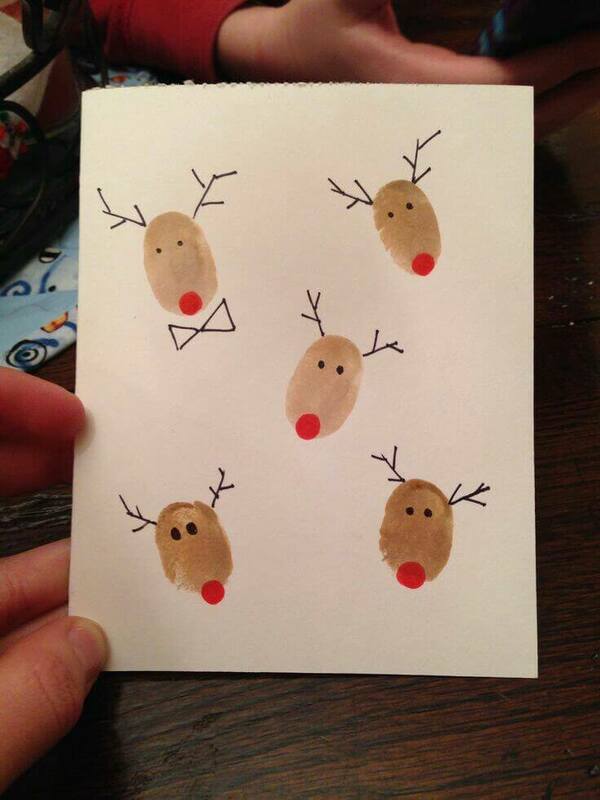 Draw a reindeer, or a snowman and add a picture of the loved one. 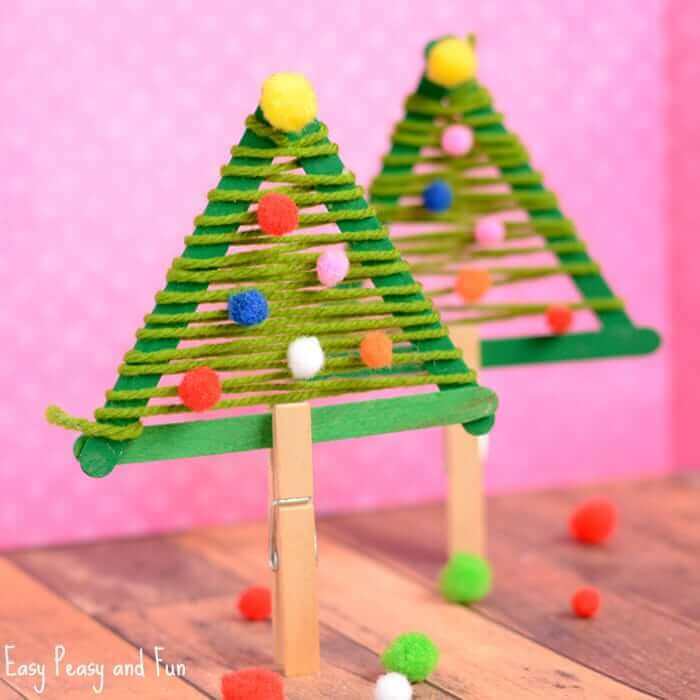 You can make your own mini Christmas trees for this Christmas. These trees can be hung on the walls everywhere in your house, or you can give it to people you love. All you need are the ice cream sticks, colors, decorative craft material, and glue. Take three sticks and glue them together in a triangle. Colour them in beautiful and vibrant colors and add the decorative craft as you want. These cute kids singing Christmas carol can be at you home this Christmas. You can recycle the discarded items from your house and make something cool as this. If you have a paper roll or used bottles, then you will need paper, glue, and colors. Just let the creative juices flow out of your head, and then you can have them singing carols for you everywhere in your house. They are very good singers and perfect for a musical Christmas. It is believed that Santa Clause distributes gifts to children all over the world. He doesn’t use the front door, but then the question arises that how the children get their gifts in stockings! Let us tell you a secret- he enters the houses through the chimneys. When the chimneys are cold after long hours of cooking, he enters and keeps the gifts in the stockings. You can tell your best friends this secret in an interesting way. 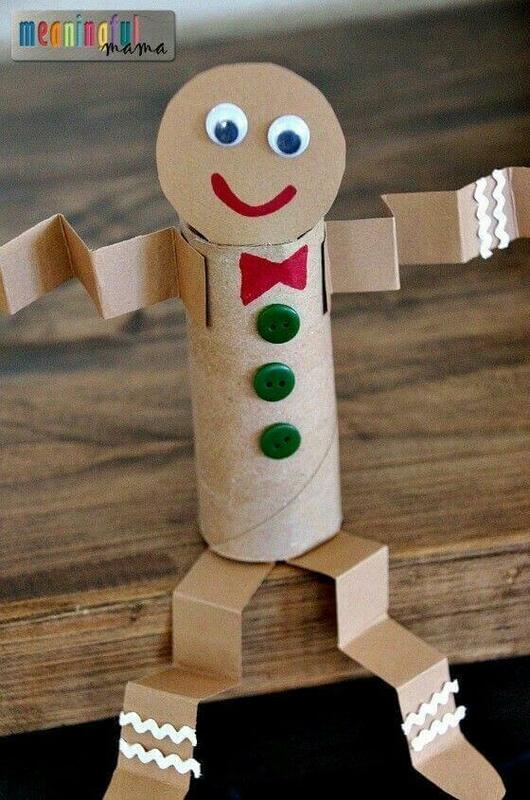 Make a chimney out of a paper roll and add Santa’s half a leg or a part of his head so that they will know that Santa is already halfway in. Christmas falls in the most wintery month of the year- December. You will need these warm woolen gloves to keep your hands warm. 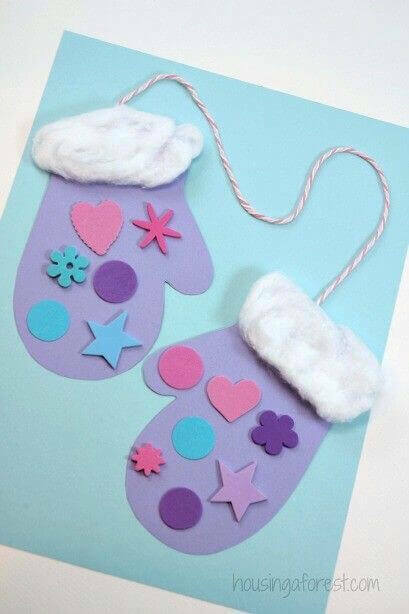 When it is snowing outside the window, and your family needs a bit of fuzzy and warm feeling, you can hang these glove crafts all over the walls. A thread, fluffy white cotton, scissors, colorful papers, glue and VOILA, you are ready to warm up your home. Snowflakes are always white in color. They must be so bored of being always white. On this Christmas, why don’t you cheer these little cool things by coloring them! You can make them, by using ice cream sticks and sparkly and shiny little beads and decorative items. Another Christmas wall hanging to decorate your home with. You can add pictures of your family, Santa, and make cute reindeers on it. You can also add Christmas quotes or wintery phrases there. The frames can be increased in number and add as many people as you want in the frames you have added. Tell them that they are in your special frame. Mistletoes have toes in it so why not use your toes to make mistletoes? They are easy to make. You have colors and feet or palms, so you are set to go. Colour your feet in Christmassy color and step on the paper. You have to ask your parents or grandparents to do the same because your feet mustn’t feel alone. 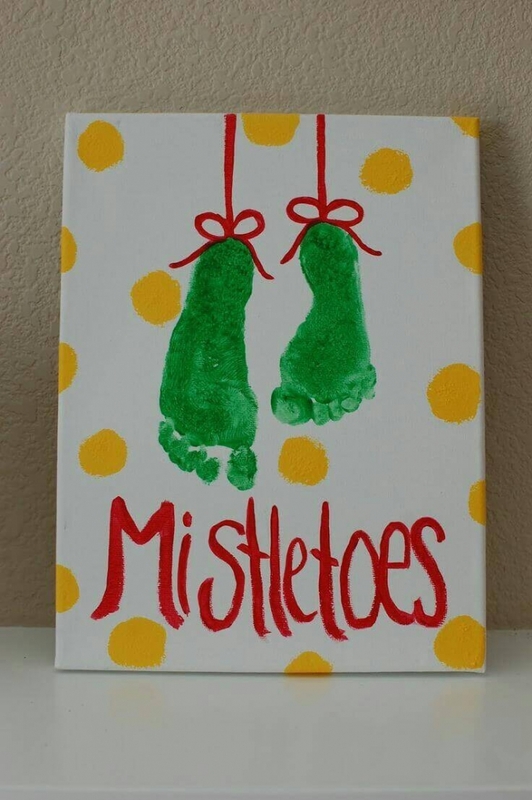 And add a cute ribbon at the sole after the paint has dried up and your mistletoe is good to go. You must have seen golden and silver stars everywhere during Christmas. This Christmas you can make the little stars bit colorful and unique than the others. Have the cardboard cut into the shape of stars and paste white paper on it. When you are done pasting collect the colorful threads that you have at home and wrap those around the stars. 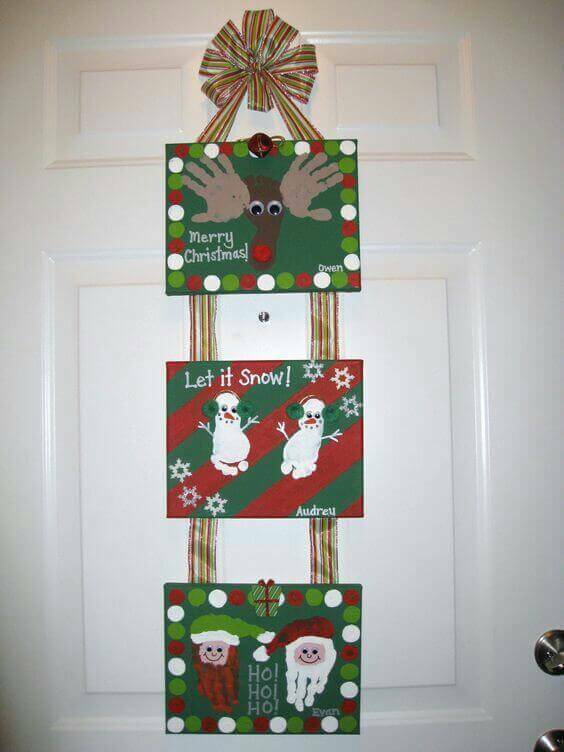 Make as many as you can and hang them on the walls, Christmas tree and everywhere else. A warning before you throw anything away during the Christmas cleaning- think of the things you can make out of them. The old and discarded socks can make a perfect snowman without the snow. Wash and dry the socks properly and fill them with fluffy cotton. To make the head of the snowman, tie a thread to divide it into small and big parts. Take a small piece of cloth and tie it around the neck to make it look like a muffler. And you snow-less snowman is ready. A monster for Christmas isn’t such a bad idea. They also need the colorful Christmas trees and gifts from Santa. But as everyone is scared of them, nobody invites them to the parties for Christmas dinner and celebration. Will you be kind enough and invite them to a nice and happy dinner at your home? Do you like music? If yes then you must make a musical Christmas tree for your home this year. It is simple to make and cool to look at. You should start saving the ice cream sticks after you have finished the ice cream, wash it properly and craft a Christmas tree out of it. Get the musical notes printed out and cut them in small to large sizes and stick them to the ice cream stick. 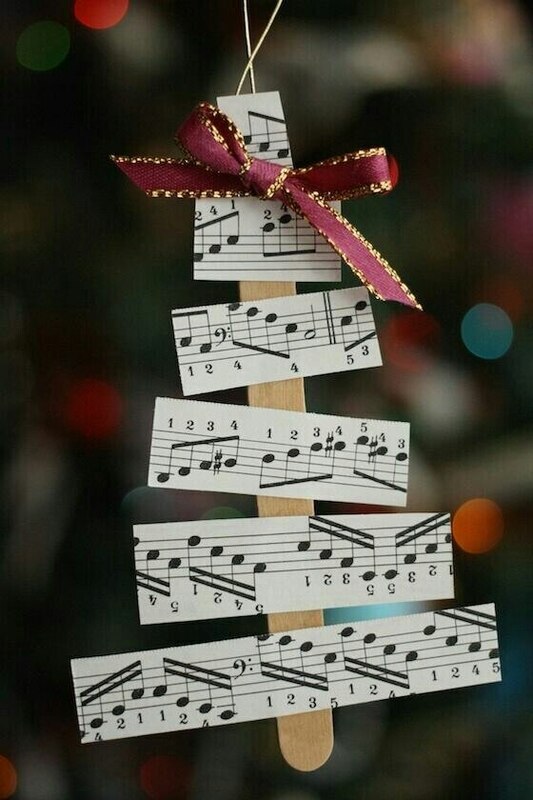 Tie a cute ribbon on top, and your musical tree is good to go. The soda bottles and caps are of no use once the soda is finished. You can bring it to use to make some quirky Christmas decorations for your home. They can be little snowmen with muffler and cute faces. 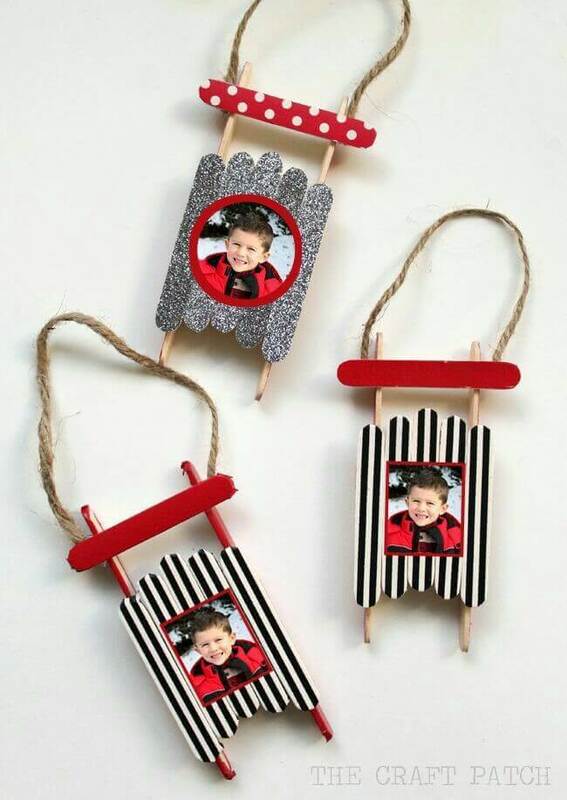 Get some cute little buttons or colorful pages to make the smiling and happy faces. Here are a few Christmas tree ideas that can bring colors to your home this year. They are very easy to make and creative as well. You can reuse the articles to make the decorations and save the environment. These creative trees can be gifted to the loved ones. 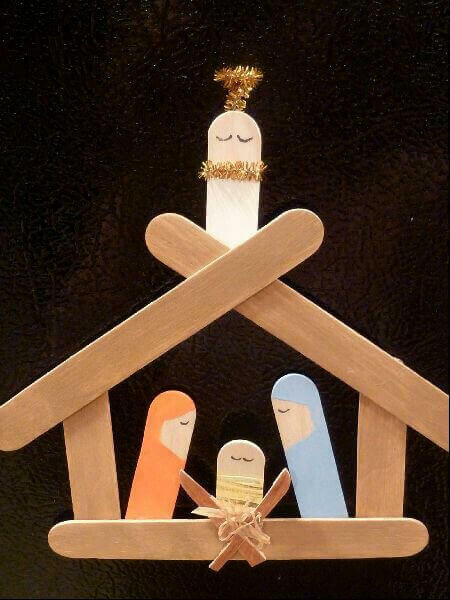 Just collect the paper, glue and the discarded items, and you will be able to build these trees on your own. Blue buttons for a cute and wintery snowflake sounds like a good idea, doesn’t it? Paint the ice cream sticks with white colour and let them dry. Now go get some glue and the buttons you collected. 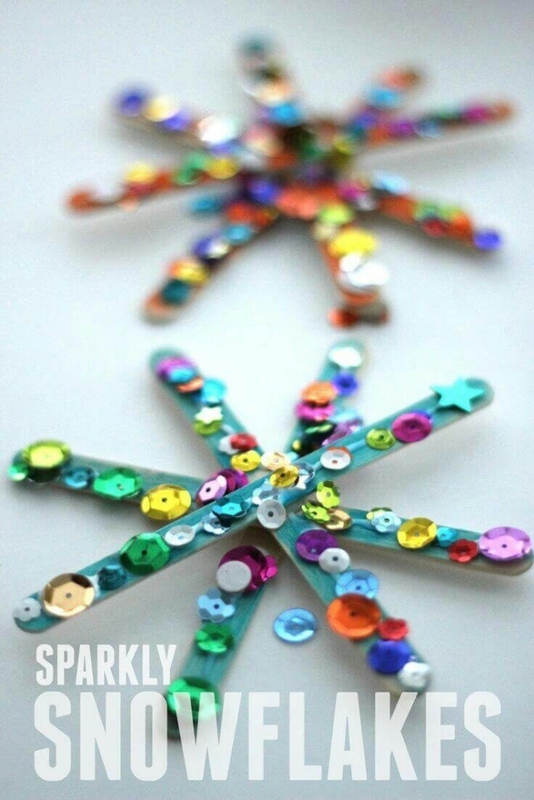 Glue the sticks together to form a snowflake and glue the buttons to the shape in whatever way you want. Keep white with blue or add a small decorative piece of glass to it to give it the shine and sparkle making it look magical. The small snow lantern that listens to music will be a good decoration for your dinner table on this Christmas. You can easily make this using a spare glass jar from your mother’s kitchen. Ask her to lend you glass jar for your snow lantern. Wash and dry it properly and get some glue. Paint the glue all over the jar and apply the pieces of cotton quickly to it. Then add a cotton painted in a red colour and a straw bent to the head of the lantern and the decorative piece is ready for the table. Would you like to get a cute penguin for this Christmas? You can make one for yourself using paper and sketches. You can gift the penguins to your friends at school and games at park. Cut a black paper in the shape of an egg and a white one in shape of a heart. Also, cut three small orange hearts as well. Stick them with glue as shown in the picture and draw the eyes of the penguin so that he can see where he is going. These small Christmas tree can be hung anywhere. They are easy to handle and use than the big Christmas tree in the front room. They can be easily made using the colourful cotton balls and ice cream sticks. The small heads of the reindeers can be hung anywhere. They are easy to make as well. You just need the long strips of paper and then glue them together in the centre to make it look like a ball. Then add a small piece of paper cut into the shape of a horn and the reindeer is ready to go. Everyone loves something sweet for the dinner. So why not a lollipop to be given to the guests after the dinner that they can keep for a long time in their homes. Small heads of the reindeers glued to the small pieces of straw and a cotton ball of cotton for nose, looks like a cute reindeer. You will be giving the Christmas cards to everyone for this Christmas. So why not the Christmas tree greeting cards specially handcrafted for you? 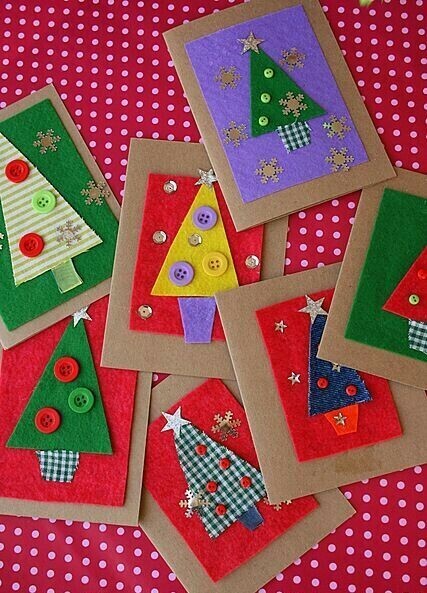 Cut the Christmas tree on the colourful papers and glue them to the card. You can add the small tinkers and decorative materials in the Christmas tree. 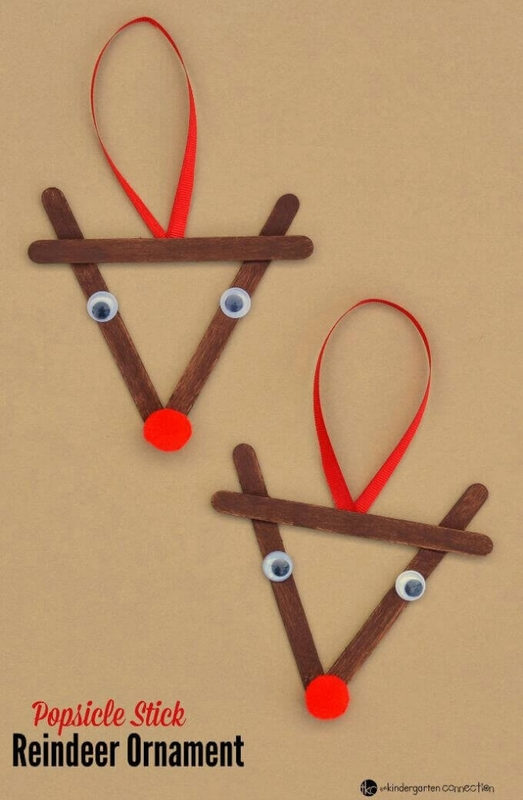 The three stick reindeer hangings can be hung all over the home to make it look more colourful and Christmassy. The red nose of the reindeer tells us just how cold it is outside. The ice cream sticks can also be used for making picture frames. Just paint them in your favourite colours and glue them together. After the glue had dried up, add the photograph that you want in the picture frame. The paper plates can be turned into snowmen with the perfect orange carrots as nose. Glue the plates together and then add the carrot shaped orange paper in the place of nose and the paper plate reindeer is ready. The Christmas tree is easy to make with just a print of your hands on a paper. Add the decorative materials to the tree and make it pop out. Make it more sparkly and shiny so that Santa is able to deliver the gifts on the right address. 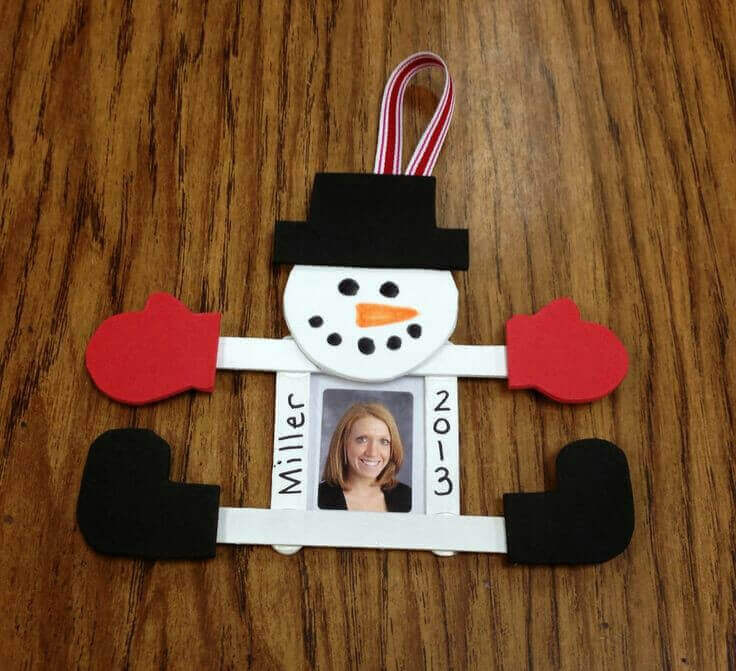 We hope you liked our compilation of Christmas crafts for kids. 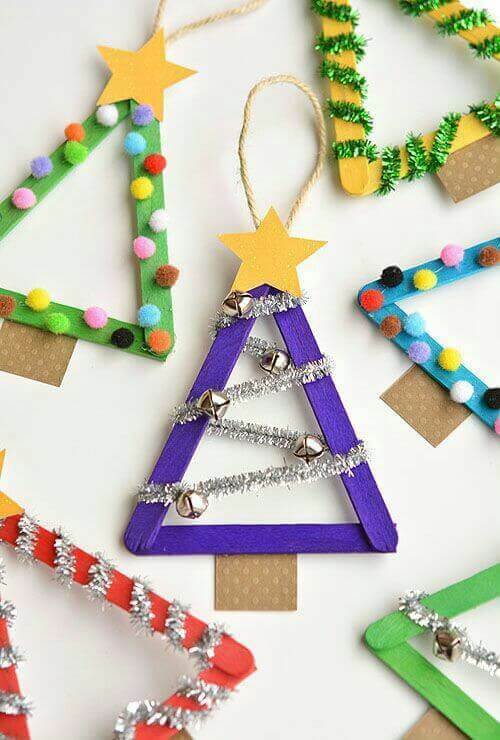 Which of these Christmas craft ideas for kids did you like the most? Let us know by commenting below.